Lorna is an experienced change agent utilising coaching, solution focus and action learning techniques; a skilled leadership, management and Board development facilitator; a registered social worker supporting newly qualified social workers and social work managers, and facilitating Corporate Parenting and Adult Safeguarding boards. 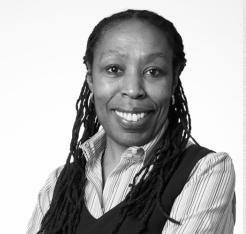 She has worked with a variety of Housing Associations, including most recently Bournville Village Trust, Bron Afon Community Housing - where she helped the Board grapple with sensitive and difficult issues, West London YMCA - facilitating a Board strategic review and options appraisal, and York Housing Association. She has an ongoing commitment to supporting the Board of a local Advocacy charity, and provides governance improvement and board development for housing and other third sector providers. Lorna combines professional integrity, motivation and a personable approach that supports development and learning with individuals and improves performance with teams and organisations.